Marlene Wagener is working as project manager of the APD since 2008. She graduated in Applied Cultural Studies with a focus on Media and Public Relations before she gathered seven years of work experience on agency as well as on client side. She worked for Colonia Media Filmproduktion, the Cologne based PR agency Muehlhaus & Moers Kommunikation and UFA Film und TV-Produktion in Babelsberg. Amelie Mack joined the Animation Production Days team in August 2018. She graduated in Culture and Media Studies at Albert-Ludwigs University of Freiburg and Lund’s University in Sweden. She gathered experience on cultural management and public relations by working at “Einstein Kultur” in Munich, for the Long Night of Museums in Stuttgart and at ZKM – Center of Arts and Media, Karlsruhe. Before joining the APD team, she has been working at the programme departement of Festival of Animated Film in Stuttgart. Dominique Neudecker is, since 2015, responsible for acquisition and pre-buys for Disney’s Daytime Channel (free to air) and pay-TV channels Disney XD, Disney Junior and Disney Cinematic. From 2009 until the end of 2014, she has worked as a freelance consultant and producer, specialising in children’s and family entertainment for international production companies, broadcasters and other creatives. Since 2013, she has been working as a curator for the Animation Production Day. As head of the Department of Production & Broadcast at EM.Entertainment, and previously as head of International Co-Productions at TV-Loonland, Dominique Neudecker was responsible for the acquisition, development and creative implementation of international co-productions, and contributed to the design and implementation of pan-European brand strategies. She studied Communication Science and Politics at the Ludwig-Maimilian-University and theatre and film studies at the Université Paris-Nanterre. 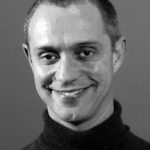 Christophe Erbés has worked as programming director for Canal+, Premiere, SUPER RTL and Nickelodeon, and as managing director for Jetix. Since 2006, he has been working as an international consultant for content strategies and development in the field of children’s media, as well as a published author and script- writer. Christophe also hosts various international conferences. CEO & Executive Producer of the Danish based company Parka Pictures Aps and the German based company Dreamin’ Dolphin Film GmbH. Since 1995 Lilian Klages has worked as producer and executive producer for international animated feature films with a focus on development and financing for companies like UFA Cinema GmbH, A. Film Germany, Munich Animation and Lego. In addition to her position as a producer, Lilian Klages gives lectures at filmschools, serves as a head of the study line „Animation Producing” at the animation academy in Ludwigsburg and as censor for the Animation Workshop in Viborg. 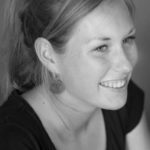 Karen Mitrega is currently working as a creative producer, editor and script and development consultant for Super RTL and other companies. Until October 2014 she was Head of Children’s Content at Super RTL. She was responsible for the development, co-production and acquisition of new series and magazines as well as the website www.toggo.de. Before joining Super RTL in 2004, Karen has been working as production manager for several international feature film productions. Karen has a degree in Film and TV producing of the Filmakademie in Ludwigsburg, Germany.